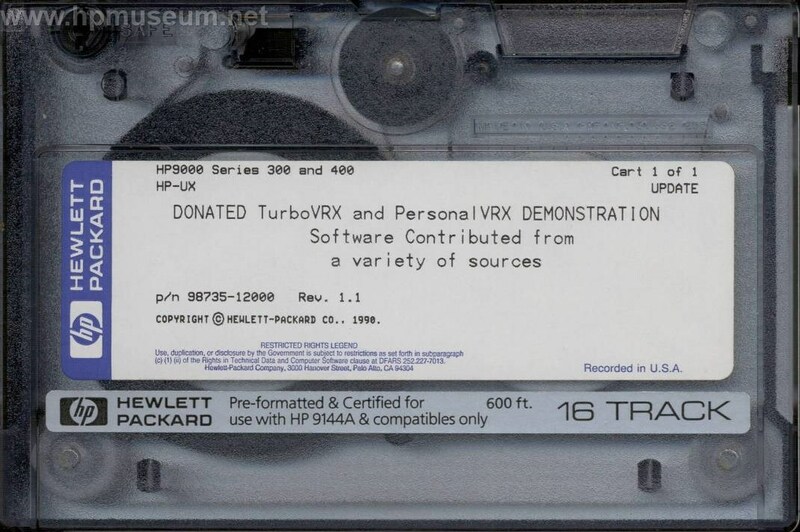 Demonstration software for TurboVRX and PersonalVRX. This image is for use with the hpdrive utility. This software was archived to an external 7957 hard disc (not to the HP-UX system disc). The name of the external disc is /disc2. To use this software, you will need to add an external 7957 disc to your system and name it /disc2.